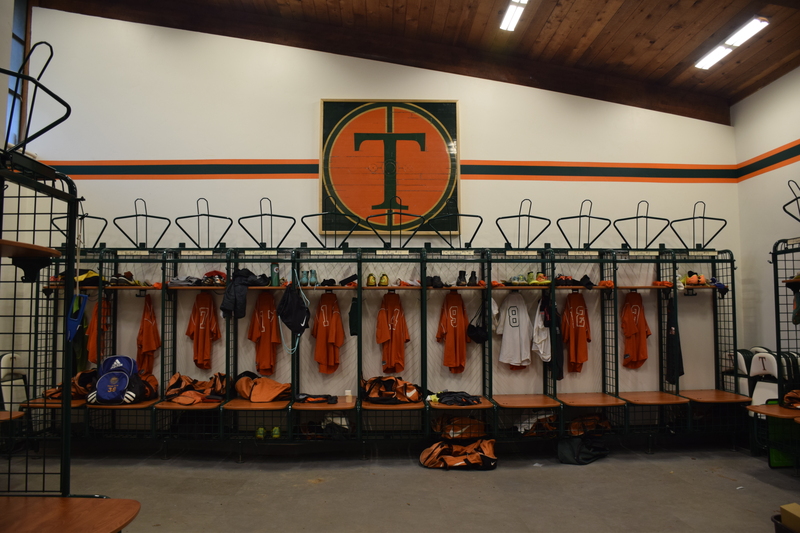 Over the past several years, Thacher has renovated many of the sports facilities on campus; only one reasonably priced task remained: the locker rooms. Built in 1970, the locker rooms were in desperate need of attention, and this summer the men’s locker room had a complete make-over. 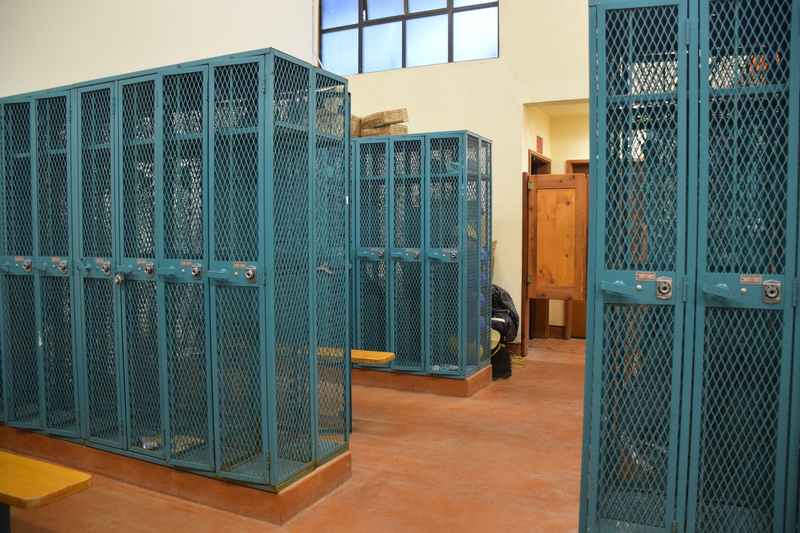 The Athletic Department, the Buildings and Grounds Committee, and administrators decided the locker rooms were a small scale, easily completed project for 2014. The footprint of the building was kept the same, but the open floor plan allows coaches to talk to an entire team at once. The lockers now are along the walls facing inwards instead of rows, making the space more communal. Ice baths, located in close proximity to the boy’s locker room but are open for use for any athlete, were installed to fill extra unused space. One of the major factors for the renovation was revamping the training room. The training room has doubled in size making it a more comfortable and efficient space for injured athletes. This new space allows more athletes to be cared for in a shorter amount of time. Teams use the locker room more now than ever. The football team used to have to travel to Room 14 to watch game film every Monday during practice. This season they used the large flat screen within the locker room to watch game film, saving travel time for the team. The old locker rooms were inefficient and almost unusable. They were made for gym class in the 1970s, not a modern football team. Fixing this inefficiency was an easy choice, as it was well within the budget and future athletic program renovations are on much larger in scale. Even the renovation time was surprisingly fast, taking only two months over the summer. Take a trip to the other side of the building to the girl’s locker room and the atmosphere changes to dreary and outdated. It is used for storage and old team gear sits in unused lockers. There is not enough room for an entire team. Heather Grant, women’s soccer and lacrosse coach, commented on the use of the locker rooms for the girls. However, this is to change this summer with a new girl’s locker room already in the works. It is being done after the boys to avoid mistakes made the first time.